The Halifax Cycling Coalition is an organization that is powered by people to make Halifax a better city to ride a bike for people of all ages and abilities. 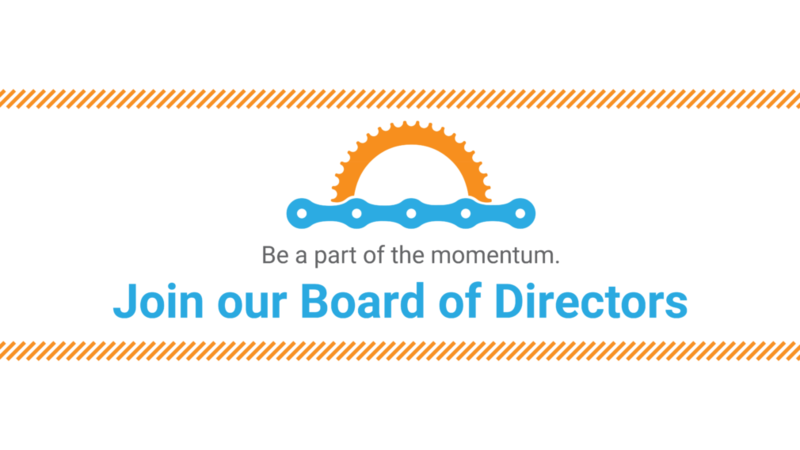 We are looking for enthusiastic individuals to join our Board of Directors for the 2018-19 year who believe in the power of the bicycle to make our community healthier, environmentally sustainable, and socially inclusive. We are seeking a qualified applicant (preferably CPA certified) who can help oversee the financial health of the organization and assist with financial reporting, reconciliation, and bookkeeping. This person would report to the Board of Directors at monthly meetings and advise on financial matters. Energy, creativity, and any other skills you think you could bring to our Board table! If you’re interested, send an email by May 25, 2018 to our Chair, Eliza Jackson by, at eliza.jackson@cyclehalifax.ca. Please include a short description of yourself or a CV/resume, which role you are applying for, and tell us why you’re interested in being on our Board of Directors.